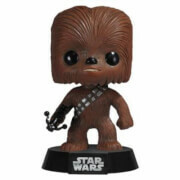 Get your very own version of Chewie as a figural plush that can stand up! 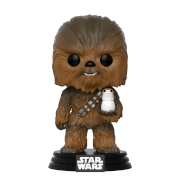 This Star Wars Chewbacca Fabrikations Plush Figure features the Wookiee as a plush with a bit of figural structure that measures over 6-inches tall. 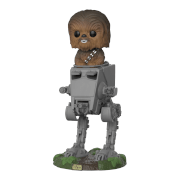 He's even got a rotating head and character-specific accessory! Ages 14 and up.